This shirt is for the bowlers who won't stand idly by while pins refuse to fall over. When the next frame comes up, don't make it about revenge. 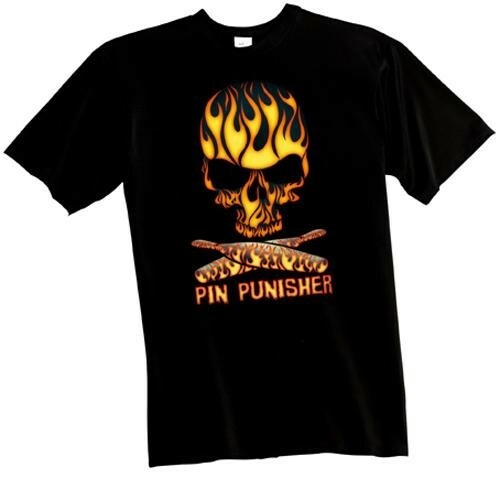 Make it about punishment in the Exclusive Pin Punisher T-Shirt that is only available at Bowling.com! Unfortunately, we do not offer that. You can always take it to a local embroider. Due to the time it takes to produce the Exclusive bowling.com Pin Punisher T-Shirt ball it will ship in immediately. We cannot ship this ball outside the United States.